Fully serviced, flexible executive offices, from 1,000 sq. ft. to 20,000 sq.ft. available on a short- or long-term basis. Current occupants include Scania, Plymouth Community Homes, Kay Transport Ltd, and British Red Cross all of which have beautiful views of Tamar Valley. Right in the centre of Plymouth this walk-in workspace provides quiet, productive workspace with fully equipped meeting rooms along with all-inclusive pricing. Just a 10-minute walk away from the main train station. Three floors of office space, with meeting rooms and kitchen facilities are available at this extensively refurbished Grade II listed property. Located within walking distance of the city centre and Plymouth station, for services to London Paddington. This business centre offers a wide range of offices of various sizes available at flexible rental terms to suit any of your requirements. These office spaces benefit from a full list of exclusive high quality support services, offered by a professional team, to assist your company in your daily activities so you can concentrate on your core business, while they take care of all the rest! These offices are sophisticatedly equipped to offer a professional working environment, ideal to run a successful business. Set in a wonderful natural landscape, this business centre is surrounded by hospitals, medical centres and a variety of other amenities and benefit from excellent transport links. 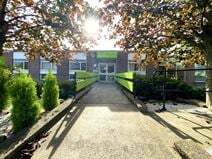 Located outside of the centre of Plymouth, this centre offers excellent amenities including meeting room availability, conference facilities, super-fast broadband, on-site parking, communal areas for informal meetings, a board room and printing and copying facilities. There are direct services to London available from Plymouth Railway Station, and the centre has a range of shops, as well as places to eat and drink. High quality modern serviced offices, with a staffed reception, meeting room and boardroom, and ample free parking. A full secretarial and administration service is available. Located on the eastern edge of Plymouth, with easy access to the city centre and the A38, for the M5. This industrial estate property provides offices on flexible leasing terms. A full secretarial and administration service, and virtual office package, are also offered. Situated adjacent to Plymouth City airport, close to the A386 and A38 for excellent access to the M5 motorway. There area places to eat and drink across Plymouth City Centre, as well as a variety of hotels, suitable for all budgets. A newly built two storey development offering air-conditioned office accommodation in a range of sizes, with on-site parking. In a pleasant woodland setting, close to Plymouth City Airport. Easy access to the A386 and A38. 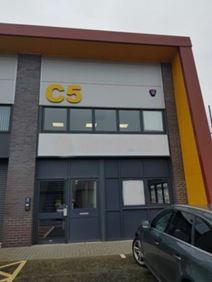 These premises offer ground floor light industrial units and first floor offices. In the immediate vicinity of local shops, and close to Plymouth city centre and station, for train services to London Paddington. This office space, located on the waterfront with stunning views, has all the amenities you'd need for the modern workplace. Bring along yourself and your team and watch your business thrive as you enjoy this motivating environment. Take advantage of the meeting rooms, high speed broadband and servicing options available to you, with a kitchen and optional catering facilities. There are also opportunities to expand your network of clients due to the nature of the building itself, perfect for start ups and established businesses alike. Easily accessed by the Devon Expressway or the numerous public transport links, you'll find this location is perfectly tucked away outside the hustle and bustle of the city centre. Take a walk along the waterfront and enjoy the stunning views of the marine, with plenty of cafes and restaurants nearby for your out of office activities. 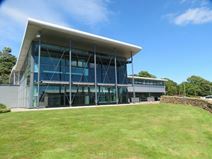 Located three miles from Plymouth City Centre, this space has excellent on-site facilities including conference facilities, parking spaces, meeting room availability, 24-hour access and security and administrative support. There are nearby eateries as well as a hotel, well placed for any visitors. Buses serve the local area and Plymouth Railway Station runs regular services through to London and Bristol. Unique offices on this waterfront location alongside Plymouth’s widely celebrated and historic Barbican and in close walking distance of Plymouth Hoe and the central part of the city, including the new Drake Circus Shopping Centre. Mainline rail services are provided on a regular basis from Plymouth to London Paddington as well as Exeter International Airport. The space is accessible by tenants 24-hours a day. This landmark building is in the heart of Plymouth City Centre and provides a mix of private office space and co-working options. The offices are suitable for two to 14 people while this incubator setting also provides tenants with access to investors and fundraisers. Plymouth Railway Station provides services to London Paddington, as well as Bristol Temple Meads and other destinations, so the space is well connected. Office and light industrial units with loading bays are provided at this refurbished Plymouth property. There is a reception, kitchen and shower facilities. Car and cycle parking is available. Located within walking distance of the city centre and Plymouth station, for services to London Paddington. 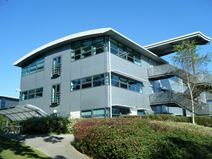 In the heart of Plymouth and just a short walk from the station, these office spaces are situated within a landmark building that is home to Plymouth's first Living Wall. State-of-the-art conference facilities are also available. Plymouth has a range of places to eat and drink, as well as some great shopping options and hotels. On-site there are amenities including kitchen facilities, bike storage, showers and conference facilities.